THANK YOU Marta Heflin Foundation & Paul Katz for your continued support of our homeless senior pets! We work hard to make sure that we take care of all of our pets here at Paws on the Green. But, unfortunately we can't do it without people like you. Your donations of time and money are priceless and allow us to continue saving lives. If you want to be a part of our family and help some of the best animals around, check us out. If you've always wanted a dog, puppy, cat or kitten, now is the time to adopt! We are here to help you get ready for your new family member, as soon as you're ready to take the big plunge. Adopting an animal is, after all, one of the most gratifying things you can do. Happy tails for batman and wolverine! Carl is the sweetest dog you will ever meet. He was found living on the streets, emaciated and full of ticks. He is safe now and looking for a new family who will give him a real home. He is dog and people friendly, we have not cat-tested him. Carl is so grateful for any affection that he receives; he is a great dog, housebroken, quiet and well-behaved. He knows his basic commands and takes treats gently from your hand. This dog deserves the very best home. ​our featured pets: Click the petfinder link to read more about them! our seniors need ​foster homes! please help by fostering. it is temporary and gives them a chance to relax and enjoy the comforts of home. boarding is no place for dogs of any age, especially the seniors! it is very stressed and the noise is unbearable. it's just like a shelter - the barking and crying never stops. please click here to foster any of our seniors! they deserve it and are so grateful! Paws on the Green is a non-profit 501c3 hospice and rescue organization for senior and special needs pets in northern New Jersey. We are also dedicated to saving cats and dogs in NYC's Animal Care & Control (ACC) shelters and those in the rural South. We are a member of the Mayor's Alliance for NYC's Animals and a New Hope Partner. 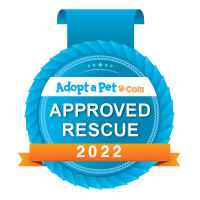 Our mission is to end the killing of adoptable pets in shelters and to move towards a no-kill nation. Please help us save lives by donating, fostering or adopting a homeless pet. Junior is an older Shiba Inu-Chow mix that was surrendered to a shelter. He is neutered, UTD with vaccines, housebroken, HW negative. Junior has partial vision loss in one eye and also has a condition called "dry eye". He gets eye drops daily to help keep his eyes healthy. He deserves a great home to spend his golden years. Junior is good with cats and other dogs and would be fine in a home with older kids! Junior is also available for foster to adopt.